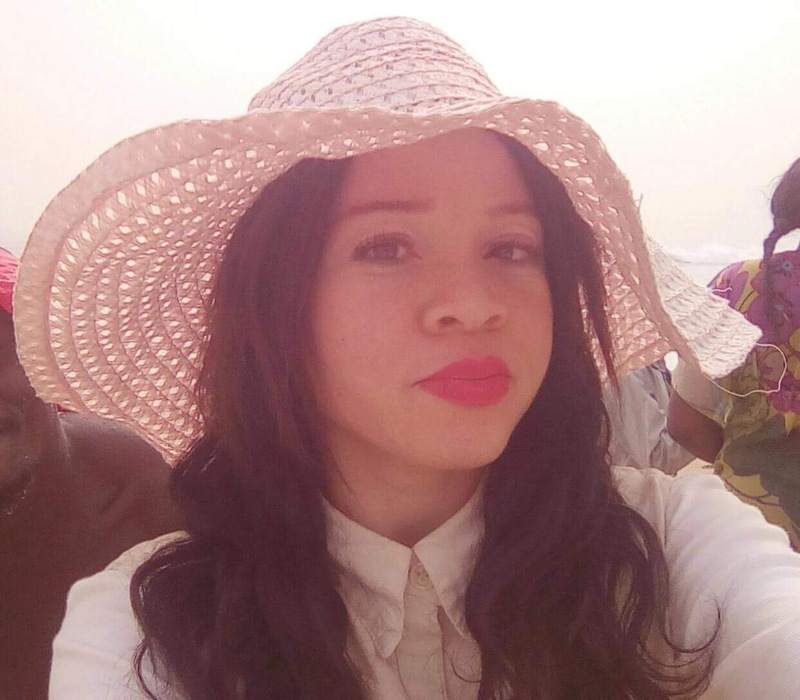 Growing up as an albino in Nigeria, Africa at large, is not a bed of roses. My childhood was fun until I was rounding up with primary school when I began to realise I was different from most of my mates. At this time, they also began to get aware of themselves and what they look like. I had many questions I couldn’t find answers to, I didn’t even want to ask anyone. I began to notice the prejudicial behaviours from people and this had a damaging effect on my self esteem well into my teenage years and a little into my early adult years. All these was until I began the journey of self acceptance and self love. I began to realise my uniqueness and my beauty. I began to dress better and take better care of my looks. I realised that nobody really cares if you’re sad all the time (they can only be concerned for a while) and that I had no excuse to perform below expectation. My dad made me realise the importance of adding more value to myself. My mom also made me understand that there’s nothing wrong with me. The love of God became real to me so much so that I snapped out of self pity and low self esteem. To every albino out there, know that your complexion doesn’t define your person. Don’t let being an albino limit you in any way. Never let prejudicial behaviours get to you. 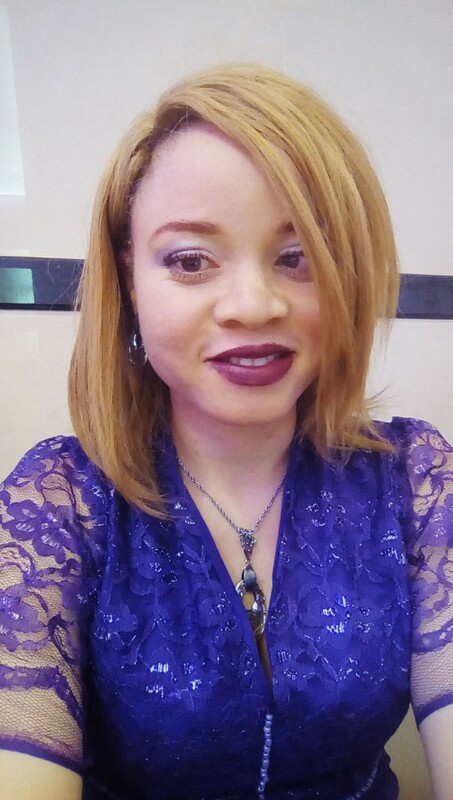 Whenever it happens, just see whoever does it as an ignoramus because indeed, if they knew what albinism is and is not, they wouldn’t act that way. Accept yourself – with all your strengths and flaws. Love yourself because NOBODY CAN LOVE YOU MORE THAN YOU (except God). Know that you’re black and you’re beautiful/handsome (this isn’t just cliché, it’s true). Find your most beautiful areas and emphasize/flaunt it (not indecently though). Learn to look like the best version of yourself, whatever makes you look better, do it. Don’t let anyone judge you for looking your best by saying things like “you’re trying to look like an oyinbo but you’re still an afin.” Let the love of God envelope you beyond the opinion of man. 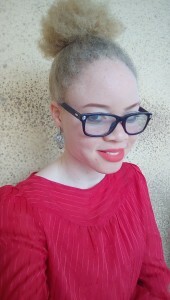 To the “melanin-dripping” folks, albinos are not less human than you are. 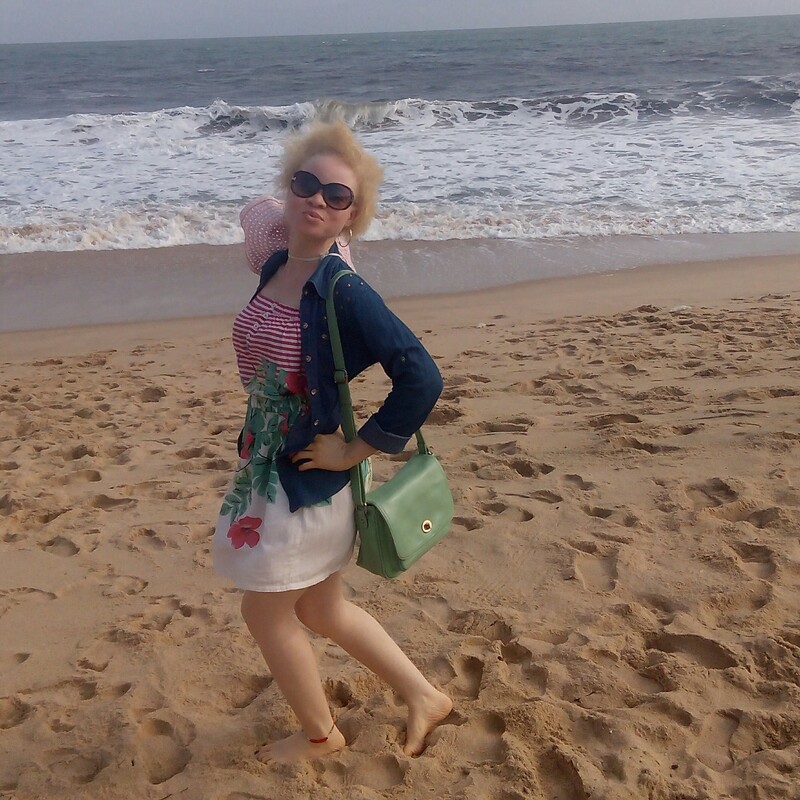 Albinism is only on the skin, our internal organs aren’t any different from yours. You can test this by comparing the x-ray or scan visual of an albino with yours and see if you’ll find any difference. 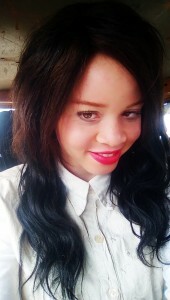 Albinos are not weak or diseased people, you will not get any “infection” by touching an albino. Our skin is not “fragile” like most people assume. This issue of prejudice can be discussed on and on and on and we’ll keep spreading the word until everyone knows the difference between the myths and the truth. Eniola Alufa, a Marine Sciences graduate of the University of Lagos, the CEO of a budding fashion designing outfit, also a blogger where she writes all about albinos and albinism. She is adventurous, blunt, caring, passionate and an outgoing person. She loves reading, travelling, holding interesting conversations and watching horror movies. She detests secretive and pretentious people. She’s a result oriented person. Ma’am Onome, keep up the good work.